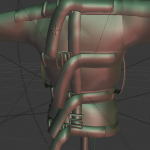 Those are the strap segments for the “untied” looks of the various bits and bobs. 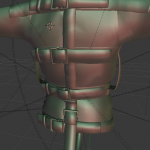 I also finished the end of the left sleeve so it can have a friction buckle (the right side will have the strap part). 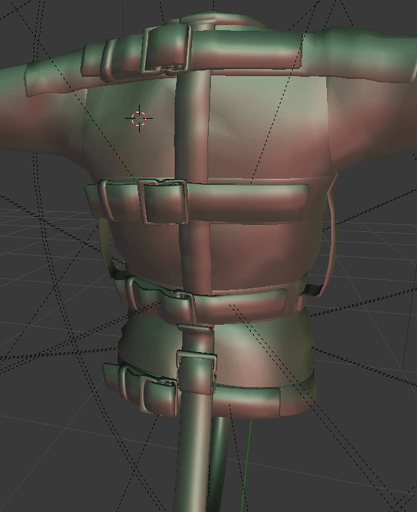 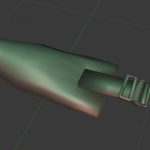 Now the low polygon model is 99% complete, the only remaining part is the arm connecting strap, I reserved a bit of texture space for it and I’ll make it once I get the folded version of the arms final. 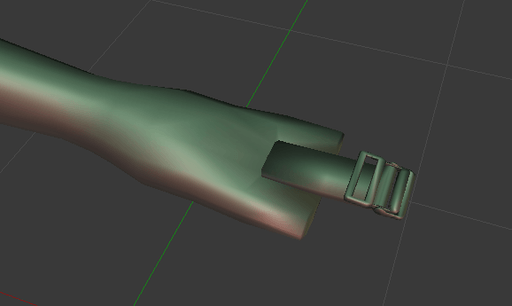 Make a semi final “test” texture set, to double-check that I haven’t messed up anything with my UVs). 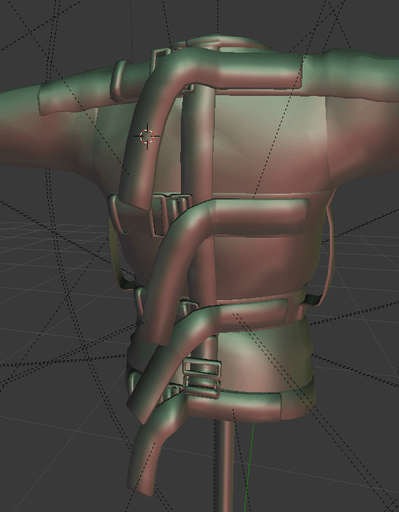 Rigging (first pass at least).